Each year Spanco awards a scholarship through the Material Handling Education Foundation to a rising undergraduate student in the field of material handling. 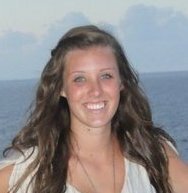 We are pleased to announce that the winner for the 2014/2015 Spanco Honor Scholarship award is Margaret Hartigan, an aspiring engineer at Penn State University. This fall, Margaret will begin her senior year at Penn State, where she will graduate with a Bachelor’s of Science in Industrial Engineering. She chose her degree because she believes that engineers are improving the world by developing new innovations every day. Margaret explains that choosing a career that positively impacts other people has given her great satisfaction. Margaret’s father, also an engineer, has been a great source of inspiration for her. When she was a senior in high school, he sat her down to explain what a career in engineering entails. After that discussion, Margaret says she knew that she wanted to spend her life creating efficient products and systems that will benefit others. With a degree in industrial engineering, Margaret knows she will have many career options after graduation. Engineering provides a great deal of diversity and the potential to explore multiple industries such as manufacturing, operations, logistics, supply chain, and project management. After graduation, Margaret plans to obtain her Six Sigma Certification. She also wants to pursue a full time career as an engineer so she can start paying off her student loans. When asked about her long-term goals, Margaret explains that she would like to work in management and possibly return to school to earn her MBA. Over the summer, Margaret worked at The J.M. Smucker Company as an intern, where she completed multiple projects including updating a capacity matrix to check for shortages in warehouse storage and compensate for future growth. She also created a Pallet Pattern Template in Excel to help the packaging team calculate warehousing cost impacts. She truly enjoyed these experiences, which is why she is beginning a similar internship this summer for Nestlé®. During the school year, Margaret’s life revolves around schoolwork, which is evident considering her nearly perfect GPA. Aside from studying and attending classes, Margaret spends a lot of time as the Vice President of Communications for her engineer sorority, Phi Sigma Rho. The sorority requires at least an hour a day working at sorority affairs, service events, membership gatherings, and executive board meetings. Margaret also serves as an engineering career envoy to help students with their resumes and offer career advice. She finds this job particularly rewarding because she knows she is helping younger students to achieve their goals the way others have helped her. On a daily basis, Margaret turns to her sorority sisters for inspiration and motivation. They are a close-knit group of women who work together to accomplish their goals and support one another in their professional pursuits. Margaret also draws a lot of inspiration and motivation from her family. According to her, “My family is so important to me because my biggest role models are my mother and father.” Margaret explains that she gets her determination from her mother, who is one of the most levelheaded and creative people she has ever met. Margaret hopes that when she is a mother, she will be much like her own mom. For fun, Margaret loves to play basketball, which was a huge part of her life growing up. She played basketball from the time she was in kindergarten up until college. Her current obligations prevent her from playing as much as she would like, but she still loves to play in her free time. As a kid, Margaret also spent a lot of time camping with her family, which has become one of her favorite hobbies as an adult. Other than basketball and camping, she loves amusement parks—and roller coasters in particular. That’s why, according to Margaret, she’d also like to thank the engineer(s) who created the fast pass! Congratulations to Margaret Hartigan, an aspiring industrial engineer, rising senior at Penn State University, and the future face of material handling.